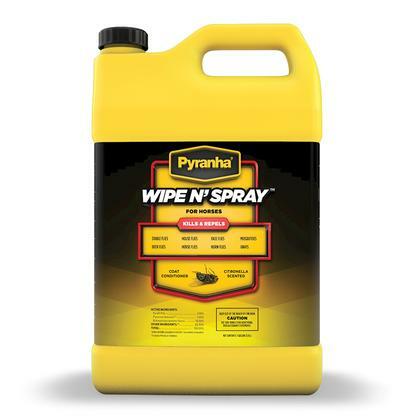 A safe alternative to chemical insect repellants from Pyranha. This natural spray is made from geraniol, clove, peppermint oils, and water. It is a formulation that is gentle for animals and tough on insects. 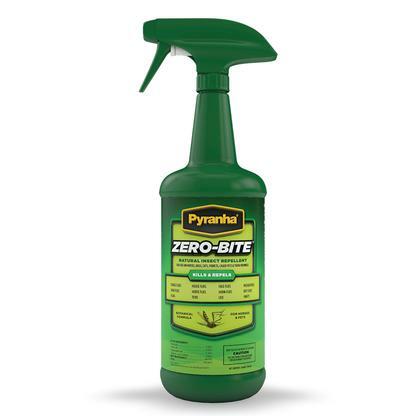 Pyranha Zero Bite repels Stable Flies, House Flies, Bot Flies, Horse Flies, Horn Flies, Ticks, Deer Flies, Mosquitoes, Fleas, Gnats, and Lice. 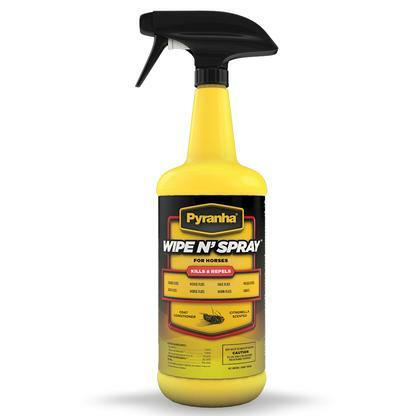 Zero-Bite Insect Spray is a safe, non-toxic alternative to more traditional sprays and wipes. The natural oils are suspended in more than 90% water, so it's neither oily nor greasy. Safe for use with all animals. 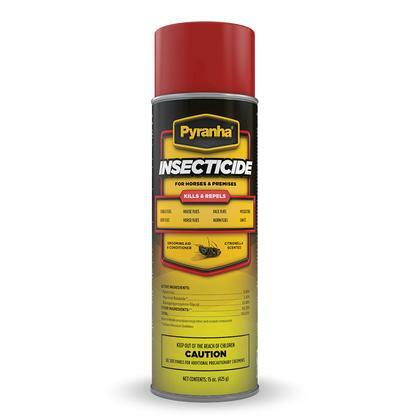 Pyranha Insecticide Aerosol is an equine aerosol that is citronella scented. Brushing the animal after an application will bring out a bright, lustrous sheen. This product is trusted and has been on the market for 15 years. Treat the whole barn with Space Spray 1-10 HP Concentrate. 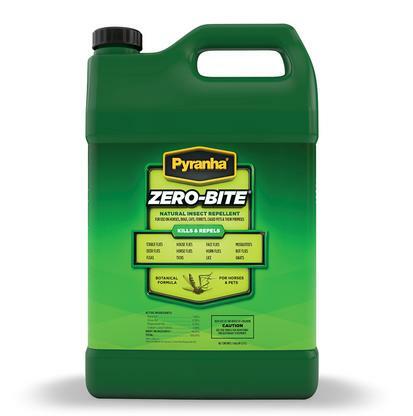 This concentrate quickly reduces the biting insect population and provides effective control. 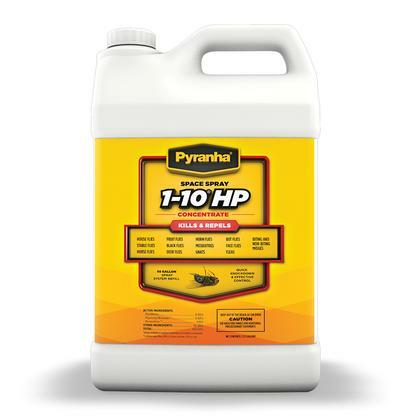 After 40 years on the market, this Pyranha product has proved its worth as a time tested insecticide and insect repelling agent. This concentrate formulation is used with any automatic spray system. It is proven to kill and repel Horn Flies, Horse Flies, Deer Flies, Fruit Flies, Black Flies, Stable Flies, Face Flies, Midges, Mosquitoes, and Gnats. 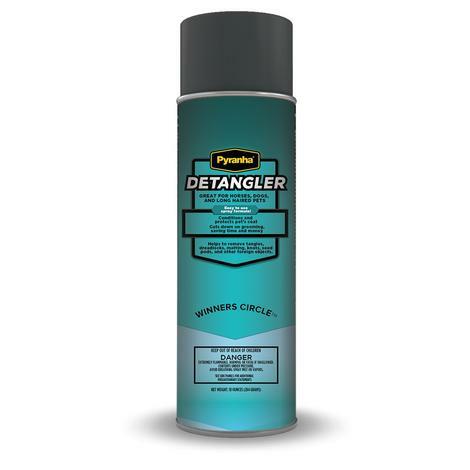 This detangler spray by Pyranha helps control tangles and keeps hair manageable. It moisturizes and conditions as it detangles while repelling dirt and dust.